Ok, I know I often grumble about living on the Downham / Bromley border - but given that I grew up in the lake district, I think I can be forgiven for thinking that Downham is a bit scruffy, in need of a good scrub - dog poo (complete with angry looking dogs) unartistic graffiti and fly tipped mouldy old mattresses and broken furniture are a common sight. But actually, Downham does have some good points, most of my neighbours are great people and the older generations that live here are superb! 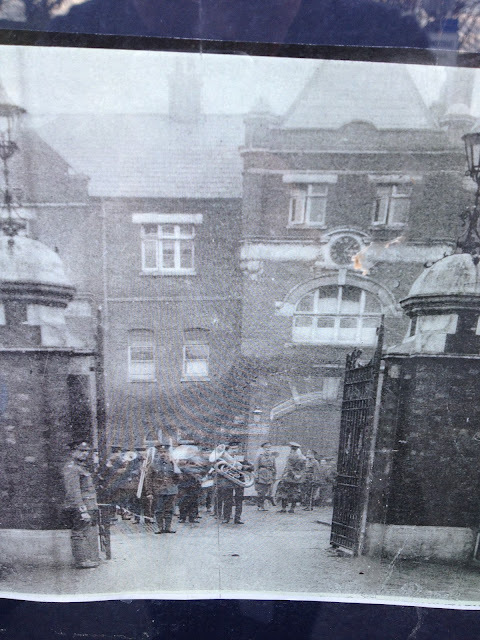 There's lots of stories about what the area went through during the second world war! Actually, when we had our driveway built, there were the remains of half a bomb shelter under the lawn! Most of the houses were underpinned too because of bomb damage to the area! 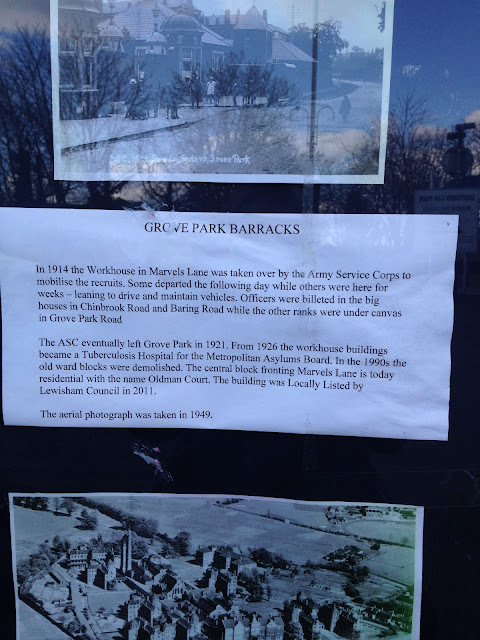 On one of our walks recently, there was a display in one of the empty shops opposite grove park train station - sadly it's already gone but luckily I managed to photo a few bits to share! Was lovely to see something different and learn a little more about the areas history - so Thank you to the person who went to the trouble of making the display. 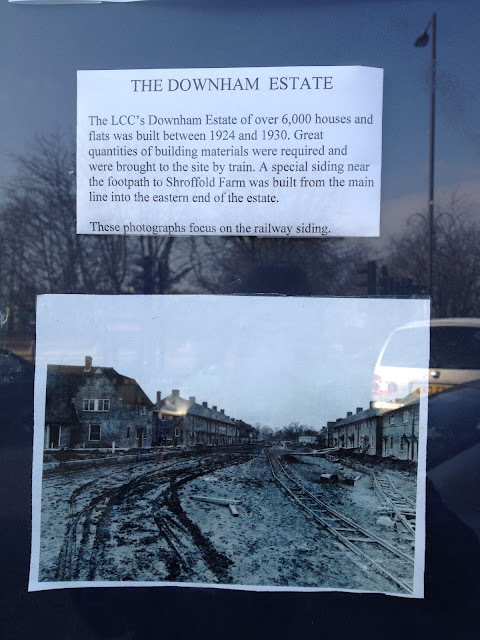 When the houses were being built between 1924 and 1930, the area had previously been farmland and the local train line was actually extended into Downham so that the building materials could get to the right locations to build 6000 homes! 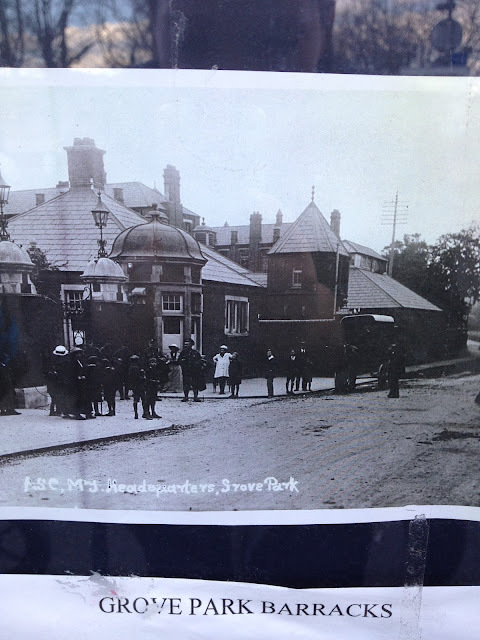 The Workhouse in Marvels Lane was taken over from 1914 to 1921 by the Army Service Corps, and from 1926 it was a TB hospital, being demolished in the 1990's. 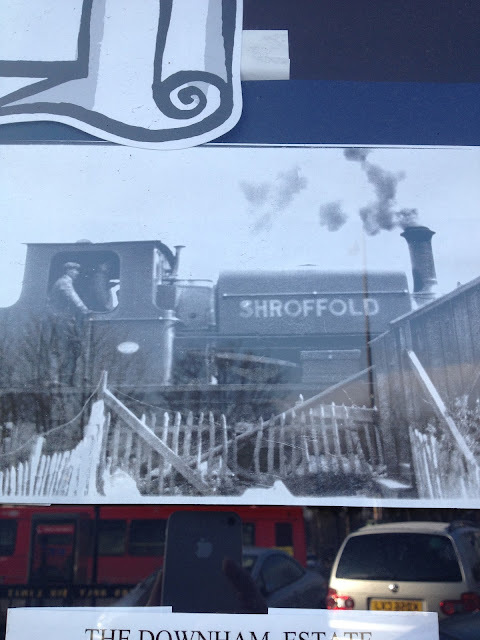 I grew up in Downham and actually lived on Shroffold Road from the age of 6. Luckily my childhood memories arent of angry looking dogs and fly tipping sights but obviously it also hadnt been the lovely farmland it once was for a long time either. My primary school had many talks on the history of downham and I remmeber stories from my nan about what it was like during this time, although she was born in 1928 during the time of the house builds. & Whoever took the time to do the display clearly wants to show the good in the area and Despite some of the problems Downham may have these days, its nice to see that it wasn't always that way!